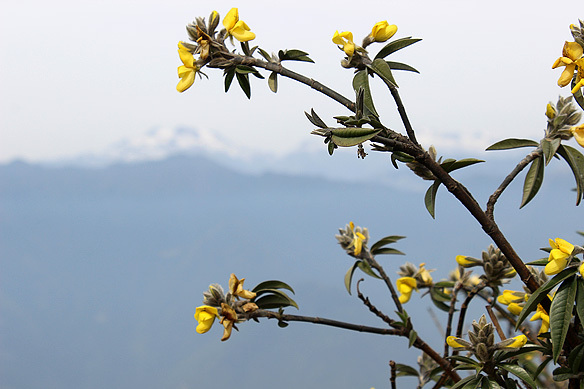 In Western Bhutan, the Himalayas offer the traveller two such mountain passes, Dochula Pass and Chele La Pass, both entrenched in the spiritual. 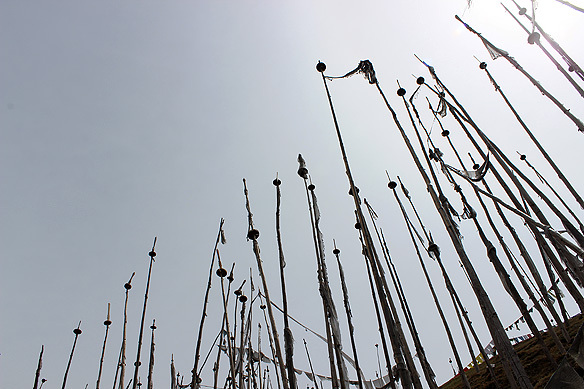 Whilst the former is decorated with over a hundred elegant chortens [memorial stupas] built by the queen mother as an expression of royal devotion, the latter is rugged and desolate, wrapped in fluttering prayer flags with Mount Jomolhari as a backdrop. 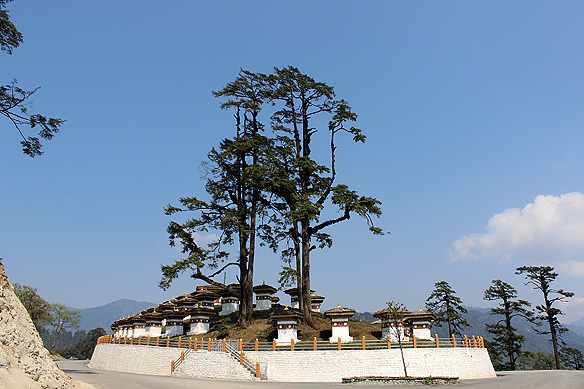 At 3,116 metres (10,223 feet), Dochula Pass, on the road from Thimphu to Punakha is picture perfect in composition and asymmetry. The pass is topped with the 108 whitewashed, red banded Druk Wangyal Khang Zhang Chortens built by Ashi Dorji Wangmo Wangchuk, the eldest Queen Mother [the king married four sisters in 1979]. 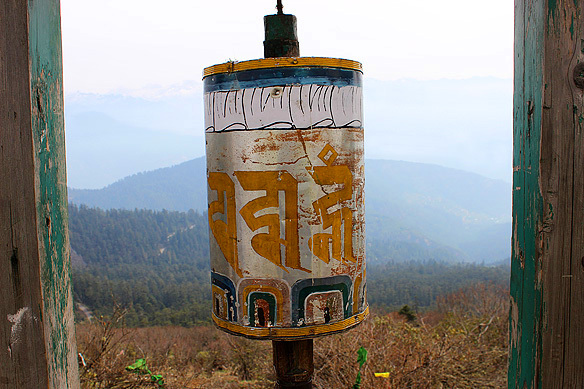 Chortens of victory, they commemorate the Bhutanese soldiers killed in the December 2003 war against Assamese guerrillas from India based in Bhutanese territory, and in particular the victory of her husband King Jigme Singye Wangchuck who dislodged the rebels. 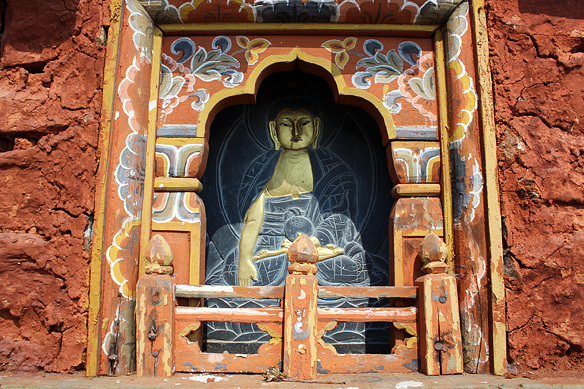 Inside each chorten are images of Buddhist gods made of clay stuffed with papers inscribed with prayers. The chortens were formally consecrated and sanctified with religious rites in June 2004. 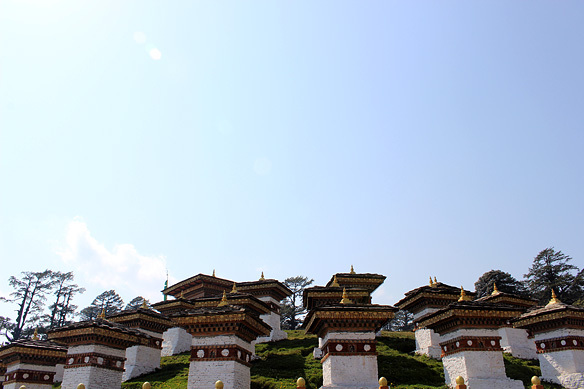 Next to the 108 chortens, perched high up on a hillock, is the Druk Wangyal Lhakhang, again built in honour of Jigme Singye Wangchuck, and to celebrate 100 years of monarchy in the kingdom (2008). 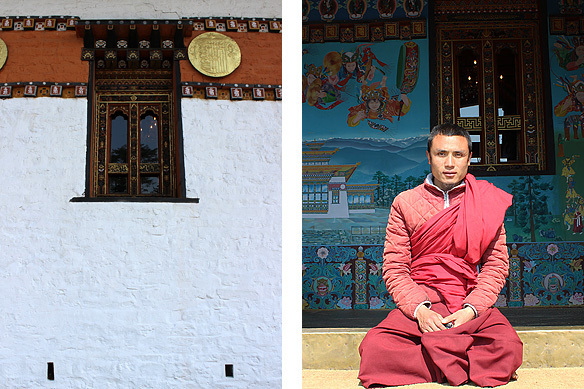 It is a beautiful lhakhang [temple]—quiet, serene, with a sole monk who opened the doors for me so I could spend a few moments inside in contemplation. Remember, the angels and the demons. I needed a conversation with both. 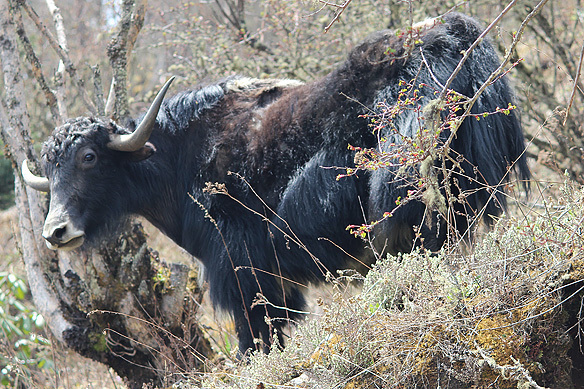 Chele La Pass, on the other hand, above Paro valley, is everything Dochula is not. Chele La is rough, raw, windy. 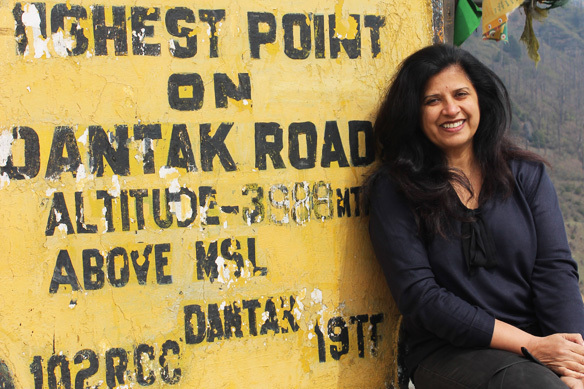 It is also the highest pass crossed by a Bhutanese highway at 3,988 metres (13,084 feet). 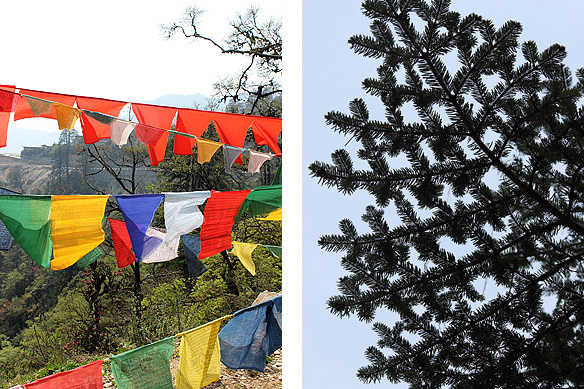 Prayer flags in white, orange, and all the other rainbow colours drape the weathered rocks, tied by faithful devotees. 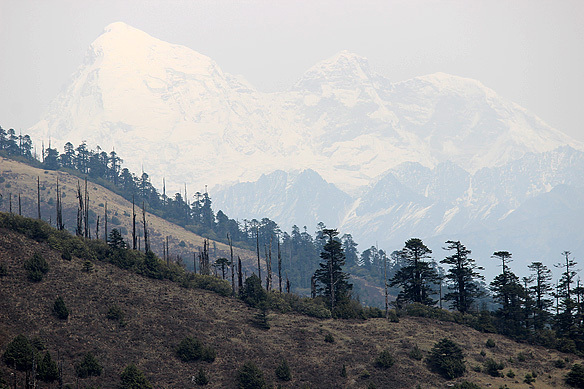 Mount Jomolhari or Chomolhari or Mountain of the Goddess, often also referred to as the bride of Kangchenjunga, straddles Tibet and Bhutan and forms the backdrop for Chele La. Ranked the 79th highest mountain in the world at 7,326 metres (24,035 feet), its claim to fame has less to do with physical elevation, and more to do with its spiritual merits. The mountain is sacred to Tibetan Buddhists who believe it to be the abode of one of the five female protector goddesses [Jomo] of Tibet and Bhutan bound under oath by Padmasambhava to protect the Buddhist faith, land, and natives. Local people claim it is impossible to climb the mountain and if anyone were to climb too high they would be thrown off. To date, only six ascents to the top have been recorded. 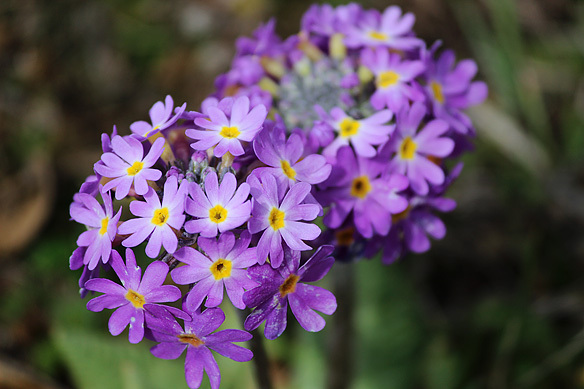 Jomolhari Trek is one of the most popular high altitude treks of Bhutan, beginning and ending in Paro, going up to Shodu at 4,100 metres. But since I am not a trekker, we can skip that part in this post and just dwell on the angels and demons, and the sacrosanct passes of the Himalayas which we can reach, and let go both at, in peace. 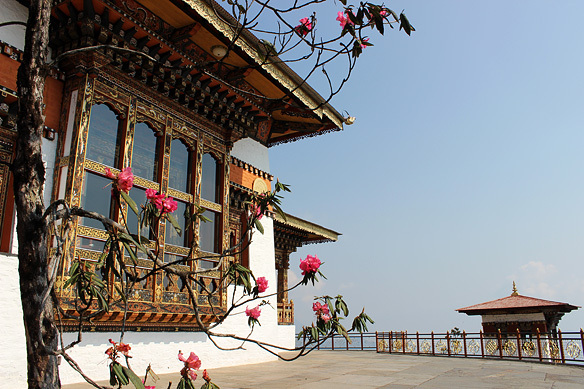 This entry was posted in Bhutan, Exploring our World and tagged Ashi Dorji Wangmo Wangchuk, Bhutan Mountain Passes, Chele La Pass, Dochula Pass, Druk Wangyal Khang Zhang Chortens, Druk Wangyal Lhakhang, Jeffrey Rasley, Jigme Singye Wangchuck, Jomolhari, Mountain of the Goddess, Padmasambhava, Tibetan Buddhism, Treasures of the Thunder Dragon: A Portrait of Bhutan by Rama Arya. Bookmark the permalink. Thank you, Doreen! Am glad you feel I did justice to the two passes. wow .. amazing post.. lovely captures too.. Thank you very much, Steps Together. Your kind words are always encouraging. Thanks Rama…. once again enjoyed reading your post.